Way back, a few decades ago, those learning to fly did so almost exclusively in airplanes with the third wheel in the tail (tailwheel or taildragger). There were few airplanes around that had the third wheel in the nose of the plane (tricycle). In the small, single runway airport where I learned to fly, it was a spectator event to have a tricycle gear airplane fly in. As everyone is aware, as time passed, tricycle gear airplanes became the norm. Now taildraggers, while not as rare as tricycle aircraft were back then, have become more uncommon. In fact, for a pilot to legally fly tailwheel aircraft today, they need an endorsement in accordance with FAR 61.31(i) from an authorized instructor certifying that the pilot has received training in normal and crosswind landings and takeoffs, wheel landings and go-arounds. (Not required if tailwheel time was logged prior to April 15,1991. Why the 15th instead of the calendar month, I don’t know.) 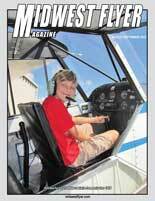 Obviously, tailwheel operations are no longer routine in the eyes of the FAA. 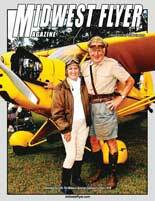 While relegated to the minority of airplanes in recent years, taildraggers have never gone away, being used anywhere people need to land on relatively unimproved terrain, such as bush pilots, crop-dusters, farmers, ranchers, and those who like to fly into small, unimproved airstrips in the mountains and elsewhere. The homebuilt movement has never abandoned tailwheel airplanes, and light sport planes are also heavily into taildraggers for whatever reason. 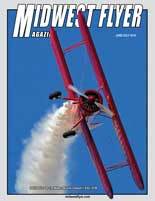 Taildraggers are generally less expensive and less complicated to build, weigh less and are faster. In addition, there has been a continuous parade of folks who just like traditional or vintage aircraft because in their minds they are more beautiful than tricycle aircraft, or the fact that it takes greater skill to take-off, land and taxi a taildragger. Recently, there has been a resurgence in the sale of tailwheel aircraft. To name just a few, the ubiquitous “Super Cub” has been copied by and updated by Cub Crafters and others. 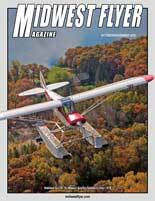 American Champion builds several versions of their aircraft based on the old “Aeronca 7AC” (Airnocker). Aviat builds the “Husky” – a hefty taildragger, and Maule has their own design. Some of these manufacturers have hung in there through some very lean times, but are now enjoying the resurgence in demand for their products. There is a growing group of people who enjoy landing at remote, out-of-the-way airports, and unprepared landing sites (i.e. farm fields and dirt roads). There is an organization, the Recreational Aviation Foundation (RAF), devoted to sustaining and expanding airstrips well suited to tailwheel aircraft. It should not be a surprise that with the recent increase in tailwheel operations, there is an attendant increase in tailwheel accidents. Much of this can apparently be attributed to inexperience. During 2017, in Wisconsin, out of 26 accidents, eight (8) accidents and two incidents involved tailwheel aircraft. Of the accidents, six (6), or 75%, were ground-loops. To gain some perspective on these accidents and incidents, let’s look at what is different about tailwheel and tricycle gear aircraft. For the sake of those not acquainted with taildragger operations, the key difference in operation is on the ground, not in the air. Once in the air, there is no difference between the aircraft. A primary difference in handling on landing is the need to keep the center of gravity, best referred to here as the center of inertia, from moving sideways and ahead of the resistance center provided by the main landing gear. The difficulty with this is that once the center of inertia moves sideways and forward, the tire on the outside of the slide tends to skid sideways, increasing the drag, causing the tail to move forward faster, and the tire on the other side tends to move slower as a result. This means the wheel drag increases faster also as the airplane turns as a result of the nonsymmetrical wheel drag. The net result is positive feedback resulting in the infamous ground loop. In short, the airplane tries to swap ends. If done at a high enough speed, this can cause significant damage to the airplane resulting in injury to the pilot’s ego and perhaps to his/her physical self and that of his passengers. Each airplane model has a slightly different proclivity to ground loops, but all taildraggers obey the laws of physics and therefore are prone to ground loops. This situation is exacerbated by crosswinds because the plane tends to weather vane once the wheels are on the ground. In fact, some airplanes, including the Cessna 195, were offered with optional crosswind landing gear in which the main gear swiveled to reduce the tendency to produce side resistance. You then traveled down the runway with the nose pointing more or less into the wind. However, it is all manageable if done properly. NOTE: Tricycle gear aircraft can also ground loop, but it takes a lot to accomplish this. If you had a tricycle as a child, you know how this can happen. 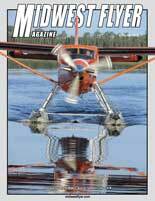 Since the issue is landing, we will discuss the two types of landings in a tailwheel aircraft. The three-point, or full stall landing, and the wheel landing. The common landing is a “three-point landing” or landing on all three wheels at the same time, which happens with a full stall, or very close to a full stall at touchdown. This means that the elevator must be held full up at touchdown to keep the tail down and the angle of attack above the critical angle until the plane slows down. Otherwise the angle of attack can decrease if the pilot relaxes on the elevator control, or due to a gust of wind, causing the plane to balloon upward as it comes un-stalled. A gust can happen anytime, and if during initial rollout the gust is strong enough, the plane can become airborne again anyway. The pilot needs to be prepared for this event. If this happens and the pilot does not execute an immediate go-around, the result can be to turn the plane into a very expensive pogo stick, with the possibility of a prop strike or even going upside down on the runway. The second type of tailwheel landing is called a “wheel landing” or landing on the main wheels first, then as the plane slows, the pilot lowers the tailwheel. This is accomplished by keeping the speed slightly above the stall speed, perhaps carrying a slight amount of power, and flying gradually onto the runway, and when the main wheels contact the runway, briskly applying forward elevator to keep the plane glued to the runway. Any power carried can be removed at this point if desired. The tail is held up using the elevator and the airflow over the wings will keep the plane glued onto the runway until the pilot decides it is appropriate to lower it or the speed of the plane will not permit the tail to be kept up. The wheel landing is an effective way to land in a crosswind since it provides more effective control until the plane slows down. NOTE: This technique requires finesse, and therefore greater pilot skill. 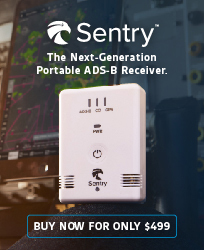 Obviously, while not requiring to be “super pilot,” tailwheel airplanes do require more than average attention on landing, so maintaining pilot proficiency is important. The recent accident profile of taildraggers reported earlier indicates additional instruction and review might be needed to reduce the accident/incident rate. To this end, the Wisconsin FAA Flight Standards District Office (FSDO) is encouraging both AOPA and EAA to offer training seminars in those areas of Wisconsin with the greatest population of tailwheel aircraft, directed at addressing these vulnerable aspects of tailwheel operations. The plan is to offer a free two-hour morning workshop discussing preflight operations of taildraggers, followed by optional flight instruction in the afternoon by experienced tailwheel instructors in either the attendee’s aircraft or the instructor’s. Presently, the plan is to offer these sessions at Hartford, Palmyra, Brodhead, Cumberland, Three Lakes and Pulaski, Wisconsin. Watch the FAASTeam site and other publications for the final locations and schedule for these events. 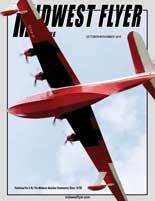 The hope is that there will be a reduction in tailwheel accidents. If so, the seminars will most likely be continued. While session locations are limited to Wisconsin communities, attendees are not limited to Wisconsin residents. So, if you live in the neighboring states of Minnesota, Iowa, Michigan, Indiana or Illinois, you are welcomed to attend. Best to check with your local FSDO to determine if programs will be offered in your area. Recreational aviation still constitutes a significant portion of personal flying. Not all of us fly for business or for a living, and many of us just want to occasionally go for that expensive hamburger or land at a friend’s private airport or hayfield. That can be a fun, safe and enjoyable form of flying we can encourage and enhance with additional training. 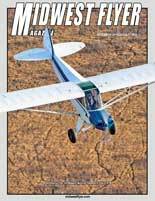 This entry was posted in April/May 2018, Columns, Columns, Pilot Proficiency and tagged Cessna 195, Cub Crafters, FAR 61.31(i), Harold Green, Husky, Midwest Flyer, Morey Airplane Company, Super Cub, taildragger, Tailwheels, three-point landing, wheel landing. Bookmark the permalink.